3 Providers of Best Pet Insurance for Dogs & Are They Worth It? We love our dogs like family members. For many pet owners, dogs are like furry children. Caring for these animals includes not only supplying food and toys, but also proper veterinary care which often costs a lot of money. Below, I list three best pet insurance for dogs plans that will cut your vet visit costs by a large margin. Is pet insurance for dogs worth it? When it comes to my dogs, I will spend all the money I have to make sure my pets receive all the necessary veterinary care. It's not uncommon for pet owners to receive vet bills upwards of $5,000 per visit. Needless to say, that type of cash can seriously cut into your family budget. I've been there too. A survey has found that only about 10% of pet owners opt for some kind of pet insurance plan, mostly due to costs. Pet insurance for dogs can go up to $300 a month, which is very high. But then the same people also spend significantly more on unexpected vet bills, because veterinary care in the US is even more expensive. The bottom line here is that more often than not, a well-thought out pet insurance for dogs plan can definitely be worth it. You will sleep better knowing that in case something happens to your dog, you'll be covered without having to pay thousands of dollars in bills. Remember to always read every single word on your agreement and know what exactly is covered. Dog insurance plans can make caring for all those unexpected vet trips a lot easier and cheaper. It's one less headache off our shoulders, particularly if your dog breed is susceptible to all kinds of diseases and your pooch gets ill too often. Most pet insurance plans will cover accidents, illnesses, chronic conditions, and possibly even alternative therapies. Similarly to shopping for your own personal healthcare insurance plans, you need to look for the coverage that fits your dog's needs at a price that you can afford. Pet insurance for dogs works in a similar fashion regular health insurance does. You choose what you believe will be the most cost-effective option. Sometimes, you may need to pay a higher premium if you don’t think you can afford a very high deductible, and it pays off in the end. 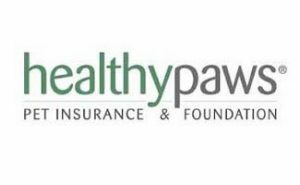 Healthy Paws is one of the leading and best pet insurance for dogs agencies in the nation today. They offer coverage in all 50 states, and they are the only U.S. pet insurer with unlimited benefits. Healthy Paws insurance plans range from $15-$90, and your co-pay and deductible will vary depending on the plan you choose. You can enroll pets on Healthy Paws pet insurance plans between the ages of 8 weeks and 14 years, and hereditary and congenital conditions are covered as well. They do not cover pre-existing conditions, and your coverage won’t actually begin until 15 days after your policy starts. Healthy Paws pet insurance only has two exclusions: there is a 12-month waiting period for hip dysplasia treatment, and hip dysplasia is only covered for pets that are enrolled before they are 6 years old. Petplan is one of the largest pet insurance providers in the world (not just the US), and their plans range from $8-$60 per month. They do have annual payout limits which will vary depending upon the policy that you choose. Dogs have to be at least 6 weeks to enroll, but there is no upper age limit. Your coverage with a Petplan dog insurance policy will begin after 24 hours for accidents and 14 days for illnesses. Pre-existing conditions are not covered, but alternative therapies will be. Depending on the plan you choose, Petplan also offers coverage for boarding kennel fees, the advertising costs and reward for a lost pet, vacation cancellations, and death benefits. That's a lot of deals in one offer, which is why I consider Petplan as one of the best pet insurance for dogs providers. Embrace is another well-known pet insurance for dogs company, but their policies come with a few more stipulations. You can get policies from them ranging from $13-$100 and there is an annual payout limit depending on which plan you go with. Embrace also has a $50,000 lifetime payout limit. When enrolling, your pets have to be at least 8 weeks old to be considered, and the upper limit depends on your dog’s breed. Pure breeds cannot enroll past 7 years of age and the cut-off for mixed breeds is 9 years. Hereditary and congenital conditions are only covered if they have not already been diagnosed. As you can see, much like shopping for our (human) health insurance, looking around for the best pet insurance for dogs can be tricky since there are many things you need to consider to find the most cost-effective option. In the above list, I've only provided three well-known pet insurance providers that work well for dogs. However, bear in mind that there are plenty of other companies that may offer same, similar or better plans – you just need to do a bit of research. 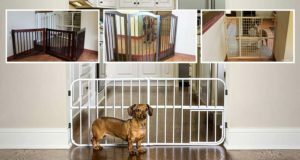 ASPCA has a good article on this where you'll be introduced to many other insurance plans, if you want to take a look. It would be very wise not to rush into enrolling your dog onto a pet insurance plan. Take a look at these three best pet insurance for dogs providers, consider their deals and then Google for more. Compare policies, prices, and coverage to find the top option that fits your budget. In the end, I believe that having at least some kind of pet insurance coverage for your dog is not only beneficial, but necessary. Sometimes, having to pay a large price for your pet's veterinary care can lead you to look for alternative options that aren't as good. When you have insurance, you know you'll get the best care without having to worry about the costs. RELATED: Pet Insurance Comparison – What is the Best Pet Insurance Plan?